A new tool could help crack down on smuggling. The reason for this is simple: if a wholesaler can get away with slipping in a less-expensive fish into the supply chain without being found out, they make more money. That pattern is disturbing (and illegal) enough, but when you move up the price list to the most expensive seafood item per pound in the world, things start to get goofy. 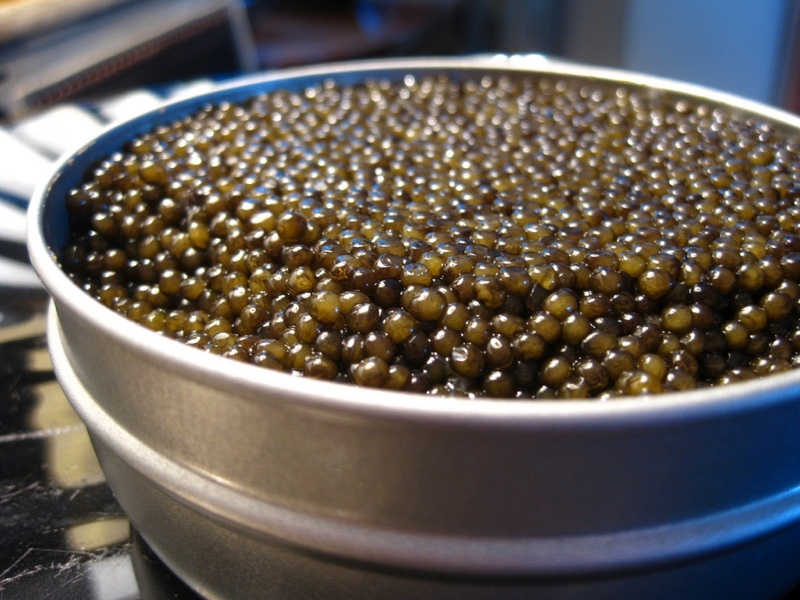 Beluga caviar, from the beluga sturgeon, can reach prices into the thousands of dollars per pound, which over the years has had some predictable effects. The species, which lives in the Caspian and Black Seas, quickly became critically endangered, and sale of the caviar (which can only be taken from egg-bearing adult females, thus hurting the species’ chance to grow) has been limited since 2006. But in the black market, beluga caviar is far from extinct. Poaching and smuggling is widespread, with major busts occurring regularly. Part of the problem is that beluga caviar is impossible to distinguish by sight from the roe of other sturgeon species. Therefore, strategies for smuggling beluga caviar sometimes run in the reverse of normal fish mislabeling: instead of disguising cheap fish to look like expensive fish, caviar smugglers will label legitimate, illegal beluga caviar as lesser, legal caviar to get it past authorities. But a new tool from Hokkaido University in Japan could help solve that problem. Using DNA sequencing – basically reading the specific genetic makeup of any organism – researchers figured out how to tell all the different caviar varieties apart. The new method can analyze a single caviar egg and determine exactly what species it is: is it Huso huso, the usually banned beluga caviar? Or Ossetra caviar, also highly prized and smuggled? Or is it actually American paddlefish roe, which is usually legal? Or even Bester, the hybrid beluga/sterlet variety? This test can tell – and hopefully help crack down on the smuggling.